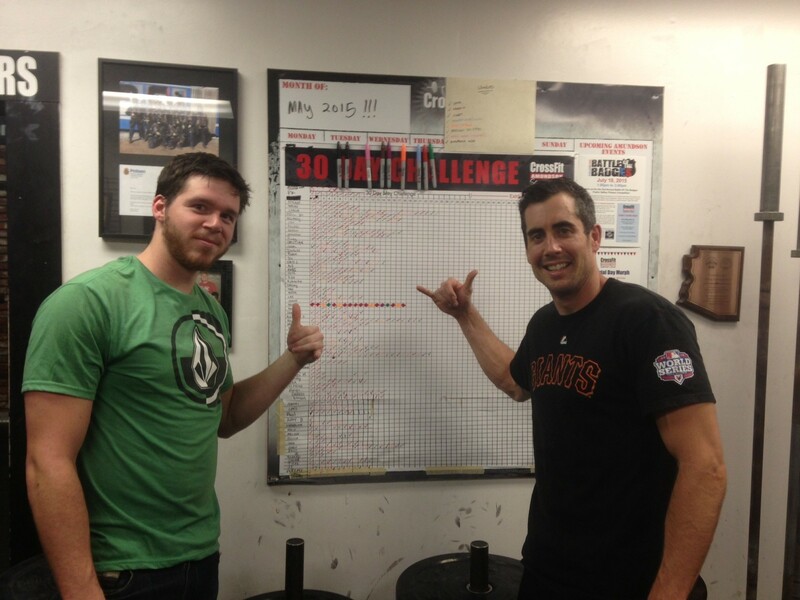 The first official CrossFit Amundson 30 Day Challenge is halfway to completion and the results have been incredible. The most exciting data from the Leader Board is the variety of “color” or classes that have been attended. The majority of our Athletes are within range of achieving the 30 Day Challenge (30 classes in 30 days) and many Athletes are going to be close to 50 classes! For example, just moments before this photograph was taken, both Aaron and Kyle had completed the “Trifecta Challenge” of attending 3 different classes in the day. Keep up the inspiring work everybody!